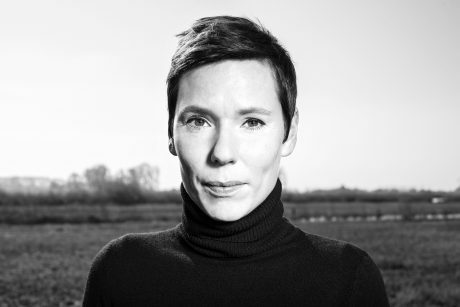 Annelies Verbeke (1976) studied Germanic Languages and Literature, and screenwriting. She wrote film scripts for a while and made her prose debut with the international bestseller Sleep! (2003). Her work has been published in more than twenty countries and she has been awarded with several literary prizes. Verbeke was a committee member of PEN Flanders and travels the world for her literary work. In addition to novels and stories – she is known the Flemish queen of the short story – , she has also written columns, scripts, theatre texts and a ‘graphic novella’ in iambic pentameters on rhyme.Keywords: snappy, slightly absurdist, weirdos and wistful nostalgia. She is well on the way to realising the epithet ‘most promising writer of her generation’. Thirty Days(2015) was received by critics and by the jury of the prestigious ECI Literature Prize (for which it was shortlisted) as her best novel so far. Her most recent book Hallelujah (2017) collects a series of wide-ranging stories that examine beginnings and endings. “The characters are incredibly real, even if the stories are often absurd”, Dutch newspaper De Volkskrant states. From the totally banal to the extravagantly extraordinary: Verbeke describes it all with plenty of humour as well as a melancholic undertone.